The first backpack for backpacking I bought from my own money was a Gregory backpack in 1999. It is thus with much joy that I return to carrying a Gregory pack - just this time it is much, much lighter than 20 years ago! Disclosure: This article has been supported financially and with gear from Gregory. As you know: I’m keepin’ it real and tell you how it is - I maintain full editorial control of the content published on Hiking in Finland. Read the Transparency Disclaimer for more information on affiliate links & blogger transparency. 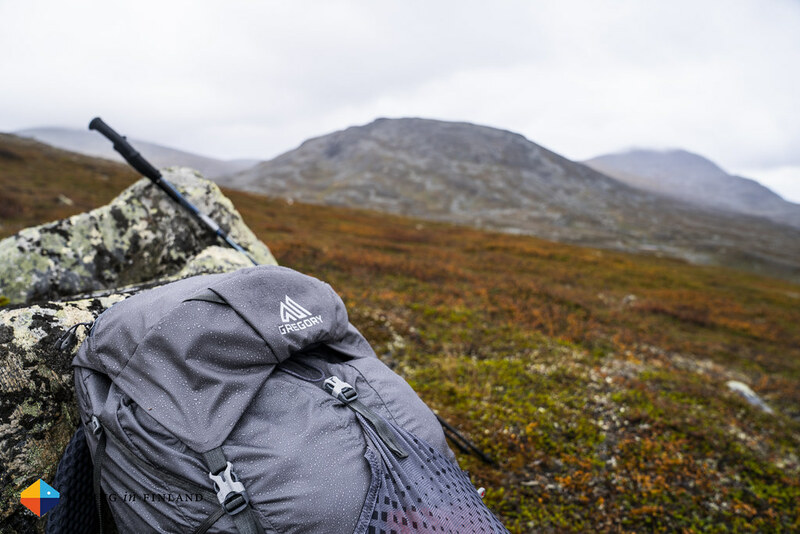 The pack arrived during the summer at the Hiking in Finland HQ and has been out for dayhikes and a 90+ km off-trail trip in Vålådalen, Sweden. 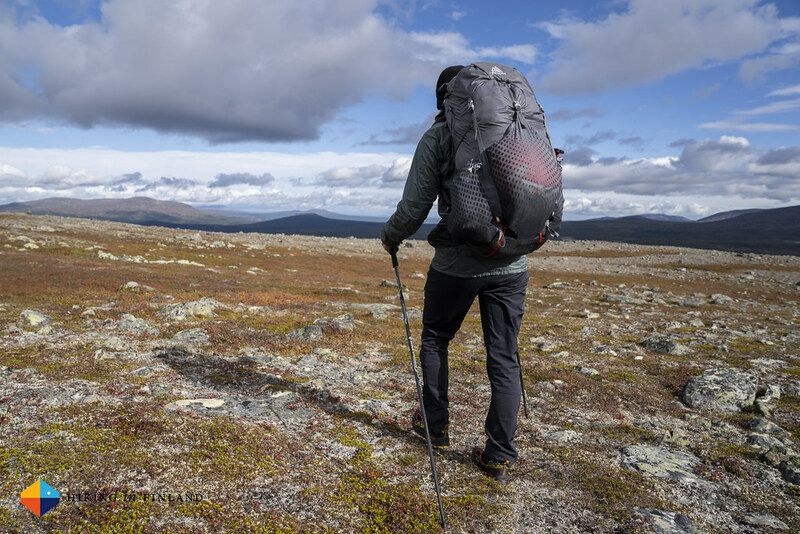 As you can imagine, the function of a backpack is to carry your gear. The Gregory Optic 48 wants to do this in comfort, in a light package, and one that last you a life time. The backpack is available in a small, medium and large back length and you should measure your back to get the right size. I didn’t find any technical innovations in the pack, all the features have been seen before, also in packs of a similar or lighter weight. 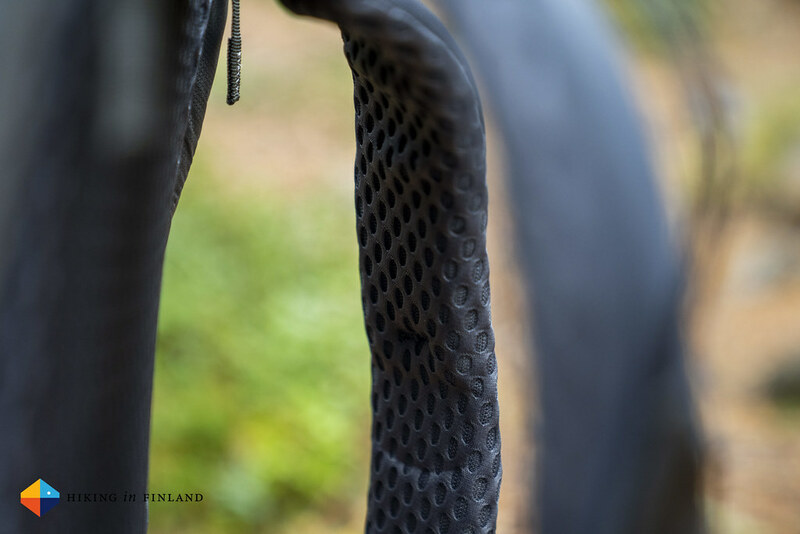 Gregory probably disagrees, as they find their AeroSpan Suspension an innovation (it is a lighter version of their VaporSpan suspension). As I told in the video, the first backpack I ever bought from my own money was a Gregory (Model Weekender, some 60+ l if I remember correctly, in green and black) way back in 1999. I used this pack for 11 years, backpacking in Central America (I lived in Honduras for one year as I was 18/ 19), hiking in Finland, and for lots of travelling. That pack was bombproof and if I wouldn’t have lost it in an accident I still might be using it. 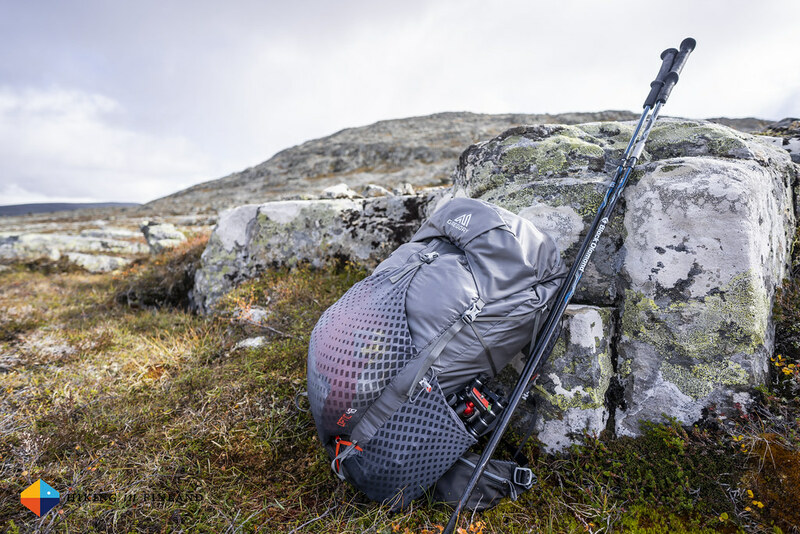 Also the Optic 48 inspires the same durability, it’s made from a 100D High Tenacity Nylon in the main body and a 210D High Tenacity Nylon in the bottom, with a 7001 Hollow Aluminium Frame and the hipbelt and shoulder straps use a Multi-Density - Lifespan EVA for cushioning. I have no doubt that you could thru-hike several long trails with this pack and it wouldn’t look worse than on the first day on the trail! The main pack with all straps and the lid pocket weighs 1181 g in back length L, the lid flap weighs 34 g and the rain cover 90 g. I haven’t weigh the lid but if you don’t need the extra storage + organizational space it gives you I imagine you can save another 150 g or so. I also think that by cutting down the straps to my length I could save a maybe another 30 or so grams. This puts the Optic 48 in the lightweight backpack category for me. 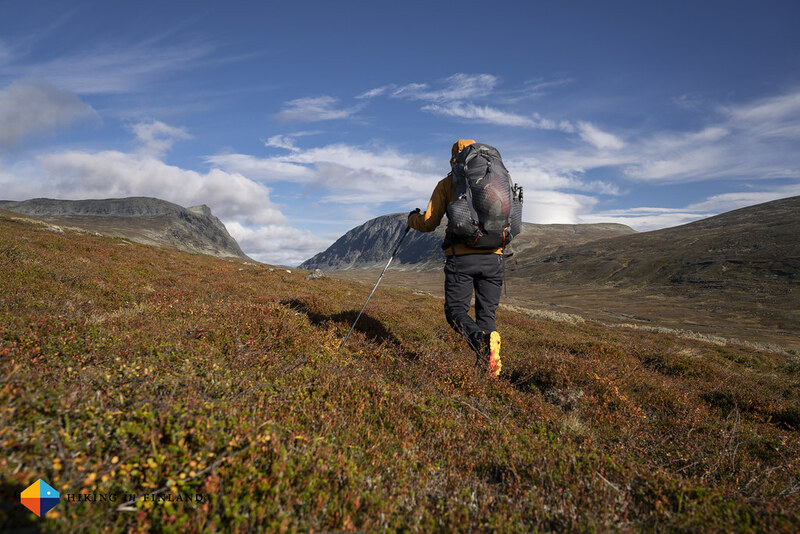 I’ll base my assessment of the pack mostly on my 90 km hike in Vålådalen, as that was when I carried a lot of gear with the pack for four days. I have used the pack on day hikes, though as I then carry usually not a lot of weight I find that not representable. 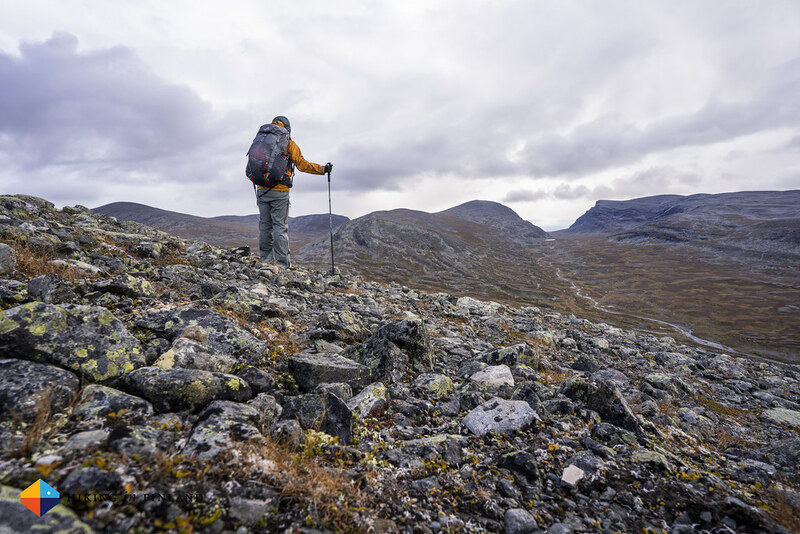 On that backpacking trip in Vålådalen I did some very long days - the longest was 38 km, of which were 21 km off-trail. 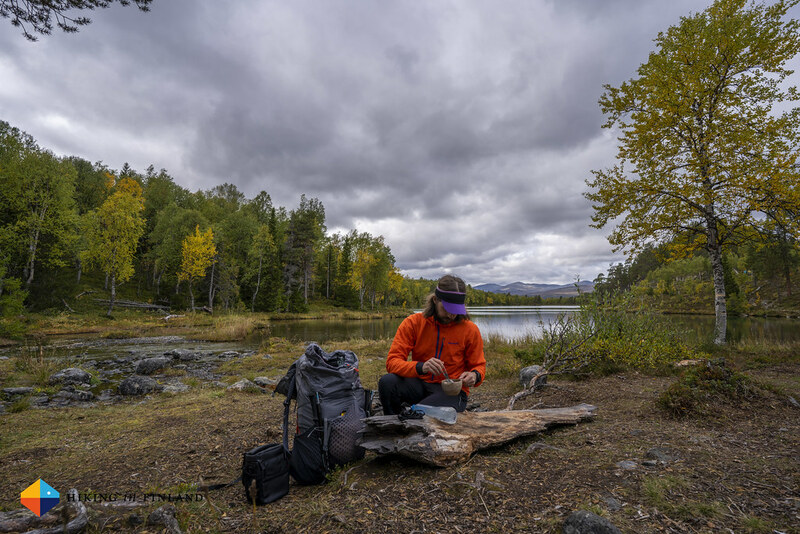 Yes, on that day I really felt the pack and got quite familiar with it, and as you can imagine I was happy when I found around 22:00 clock in the beam of my headlamp a good spot to pitch the tent and lay down. OK, so the pack. 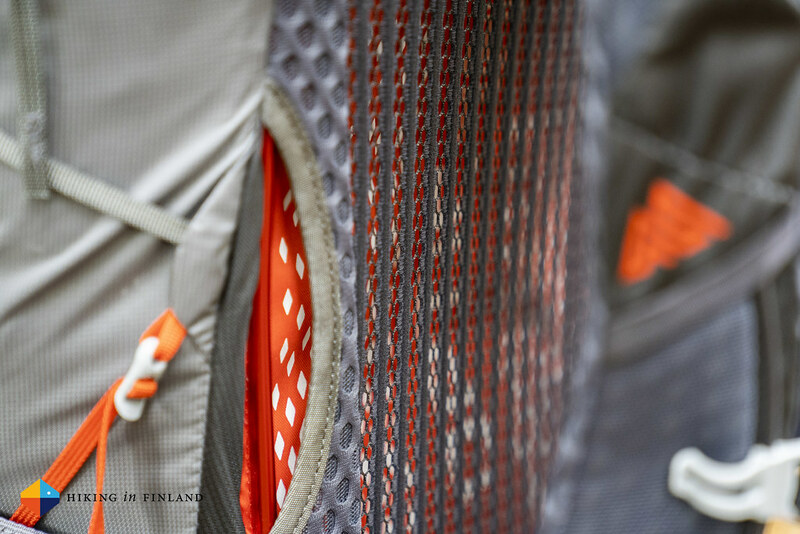 I really like the very stretchy mesh side and front pocket, especially the front pocket can take a lot of gear - first I carried my hardshell pants and jacket in them, then later on the flysheet of the tent and the rubbish (empty packaging from meals and snacks). Also the side pockets are really big, I carried in one both my tripod and the Gorillapod, and in the other one my 1l BeFree Bottle and my Kuksa cup. The side pockets I also can access with the pack on my back, which is good when I want to have my cup to drink from a stream. The hipbelt pockets are also very well designed, they open & close easily with one hand and are big enough for several snacks each. The Optic 48 is easy to pack, I can stow my UL kit with plenty of room to spare for food and camera gear in it. I have not used the raincover ever, for me this is unnecessary and even hiking in the rain and strong wind the gear stayed dry in it. The top of the pack is really easy to open and close, if you have a lot of kit with you you could strap some of it on top, affix it with the strap and lid, and be good to go. At the front I had my trekking poles attached, which worked OK - the baskets on my poles are small and tended to slip through the loop at the bottom, but the adjustable strap at the top kept them securely in place. If your trekking poles have larger baskets than mine, you’re fine! I really haven’t used the side compression straps or the possibility to strap something underneath the pack, but it’s good to know they’re there. The harness, shoulder straps and ventilated back work well together, especially the harness and straps are very comfortable and carry well, though I do wish the shoulder straps would be a bit more apart at the top, which should make them even more comfortable. 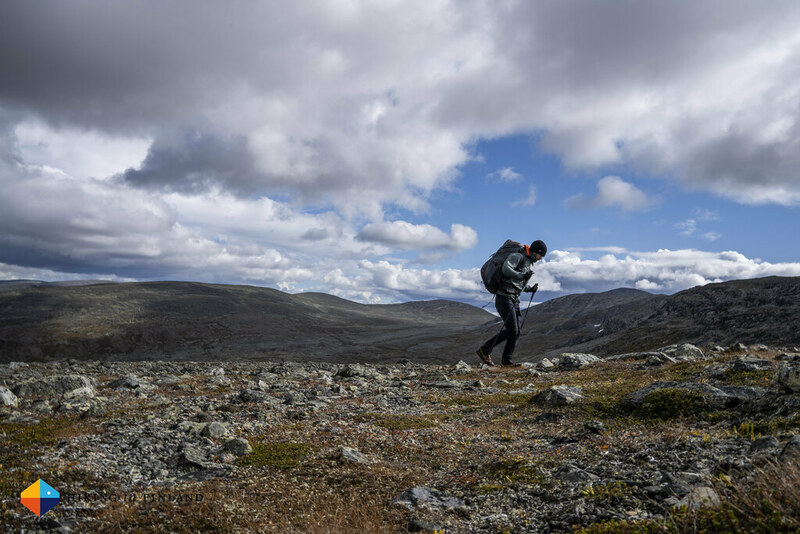 As I left the Vålådalen Fjällstation I was carrying 17 kg of weight (that is including food for four days, 1 l of water and an unreasonable amount of camera gear). Yes, the pack felt heavy, but not uncomfortable. Once the straps were correctly adjusted the weight was transferred nicely to the hipbelt and shoulders, and even when I was boulder hopping I never felt unsafe or burdened. 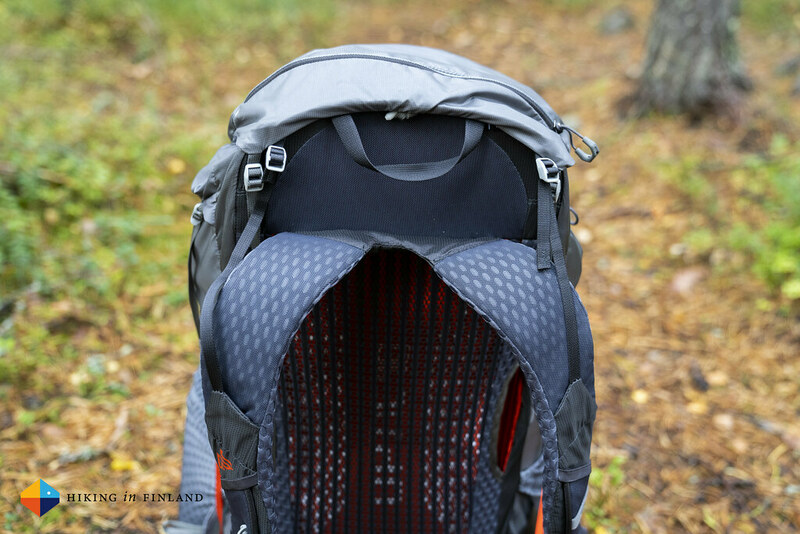 Generally I don’t see much use in ventilated back panels, maybe it is because I either way sweat a lot, I am not hiking in 30°C or more temperatures or something else, I don’t know. The idea certainly is good, I just don’t know if they work. While the shoulder straps do work for me, I think they could be made even better by making them wider at the top where they connect to the pack. As they are the straps are rather close together, which can be uncomfortable for some people. I also would like if the shoulder straps would be slightly more narrow so that it would be easier to connect my Peak Design Capture Clip V3 to it, right now it is a rather tight fit. And if a future Gregory lightweight pack gets rid of the ventilated back and puts the shoulder straps further apart I think they could have a really amazing pack! 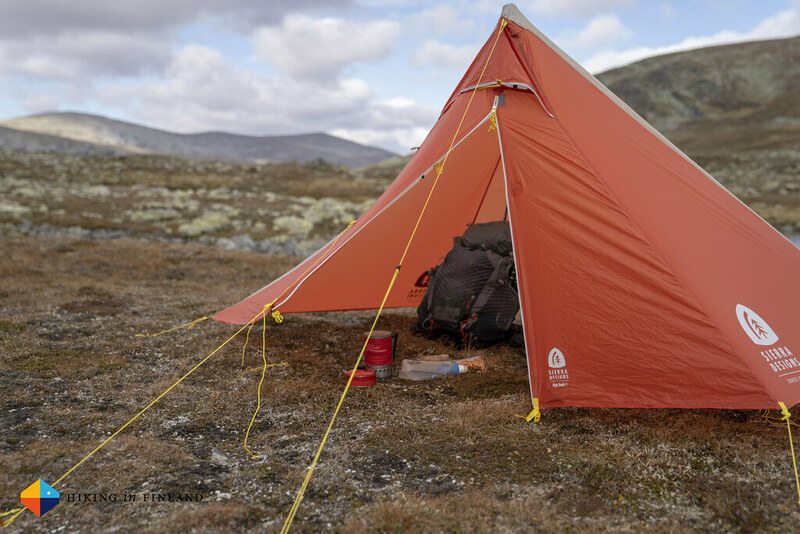 I am very happy with how the Optic 48 has carried a rather heavy load in Sweden, kept the gear inside dry and was comfortable also on very long & strenuous days. 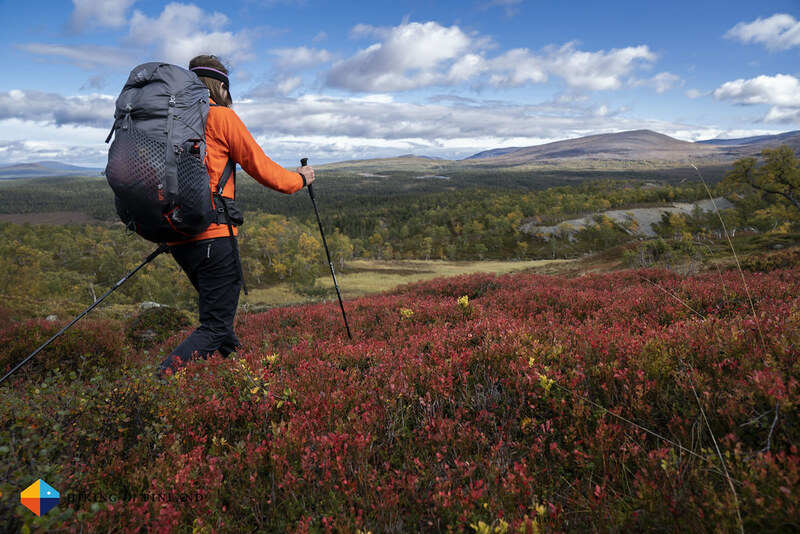 It is a lightweight pack which is best suited to people who carry heavier loads (for example who go out backpacking to take photos and carry a tripod, heavy lenses and accessories, in addition to the camping kit) and those who want a backpack which will last them a long time, no matter how careless they treat the pack when they are out. 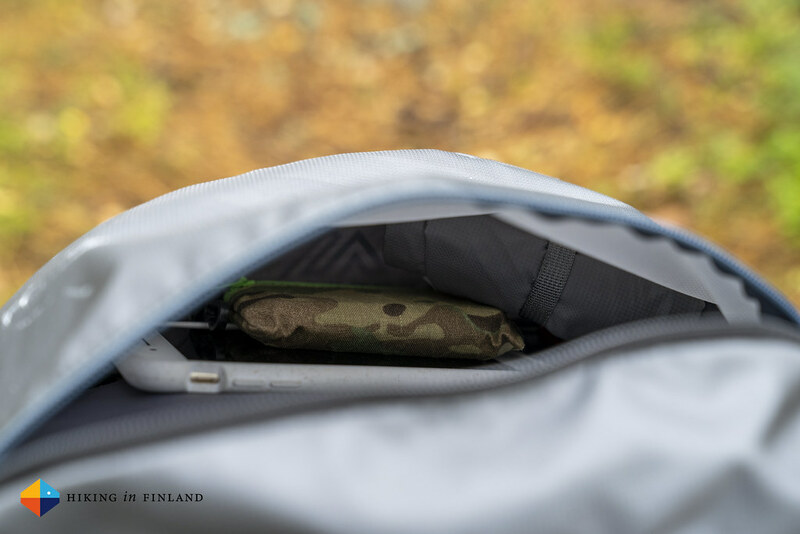 With its easily accessible side and hipbelt pockets you don’t need to take the pack off when you want to eat or drink something, and the lid with its two zippered pockets offers a good place to store smaller items like your phone, keys, wallet, spare batteries and the map + notebook. 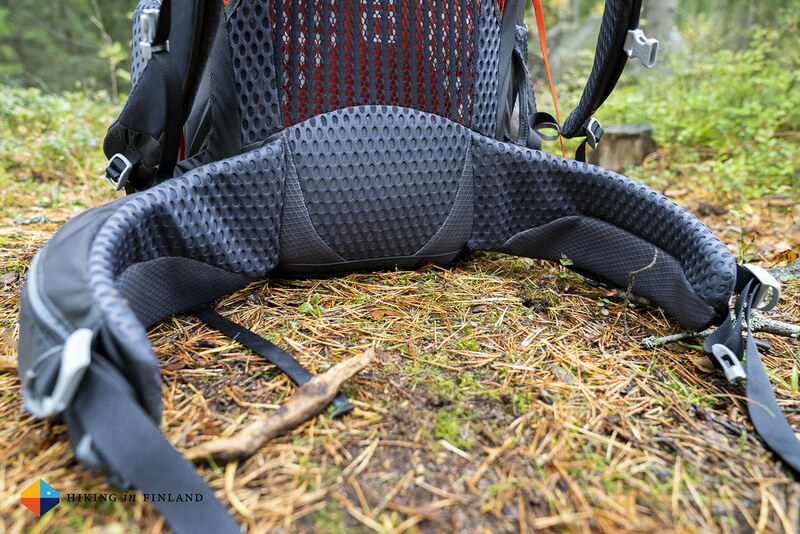 The well cushioned shoulder straps and hipbelt feel great and are a nice change to thinner UL carrying systems. In conclusion, I’m looking forward to take the Optic out again in the future on long hikes where I carry heavier loads - and everyone who does not carry 5 kg of camera gear likely will really enjoy this backpack on their wilderness hikes! And as always, more photos in the Flickr Album. 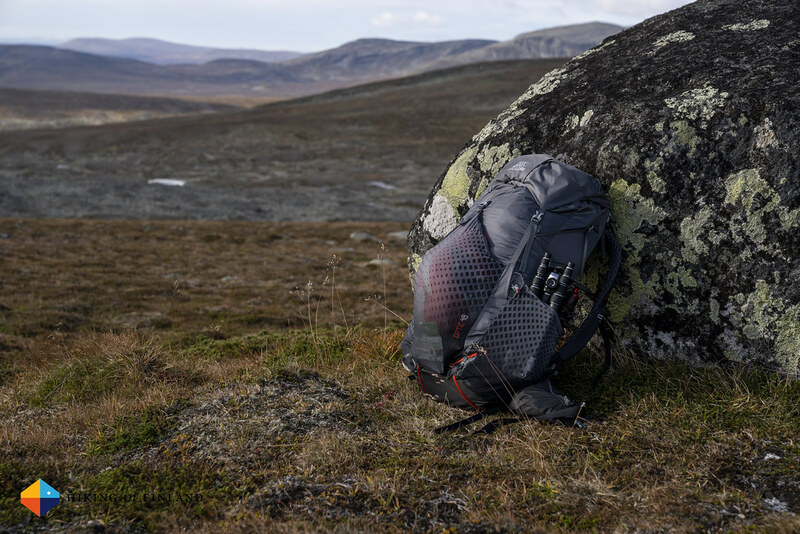 If you are in the market for a lightweight backpack that carries well and last you a life-time then definitely consider the Optic 48! You can buy it right now with a 20% Discount at Alpinetrek and Bergfreunde in Europe, at Backcountry in North America or directly from Gregory. How much did you spent on your last piece of outdoor gear? And how much did you support your favourite blogs in the last months? 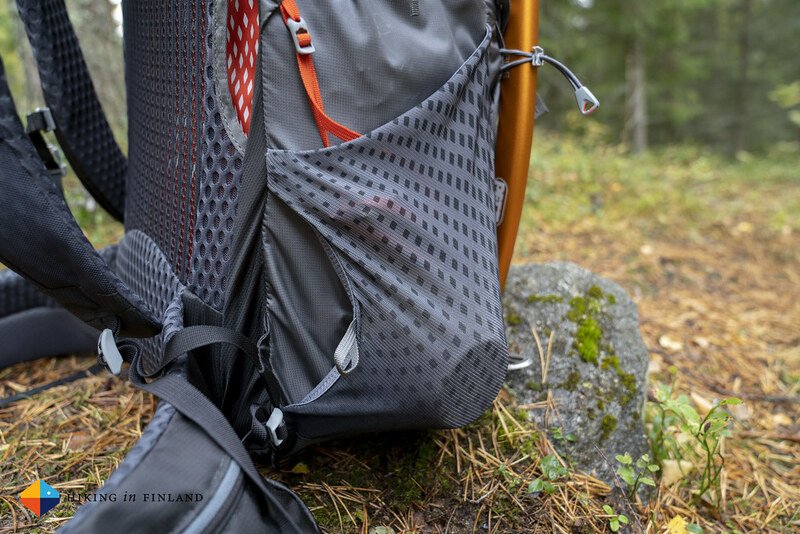 If you enjoyed this review & video buy me a coffee - I work Full-Time on Hiking in Finland to bring you inspiring trip reports, in-depth gear reviews and the latest news from the outdoors. You also could subscribe to the rarer-than-ever Newsletter and follow along on Instagram, Twitter and Youtube for more outdoorsy updates!